Hyundai i30 Fastback Performance, Engine, Ride, Handling | What Car? Ironically, despite the name, the i30 Fastback isn’t all that fast. 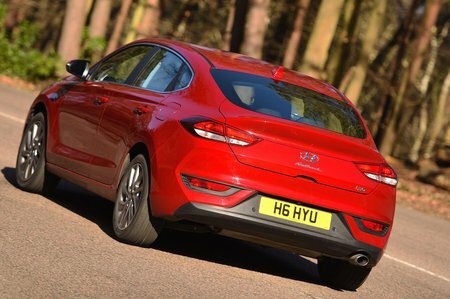 With just 118bhp, Hyundai’s entry-level turbocharged 1.0-litre petrol (we have yet to drive the more powerful 1.4-litre petrol) needs to be worked surprisingly hard before you start to make meaningful progress. Maximum shove is claimed to arrive at just 1500rpm but, in reality, you’ll be making full use of the 6,500rpm rev range for overtakes and the odd uphill slog. It’s not like this compact motor trades power for economy, either. 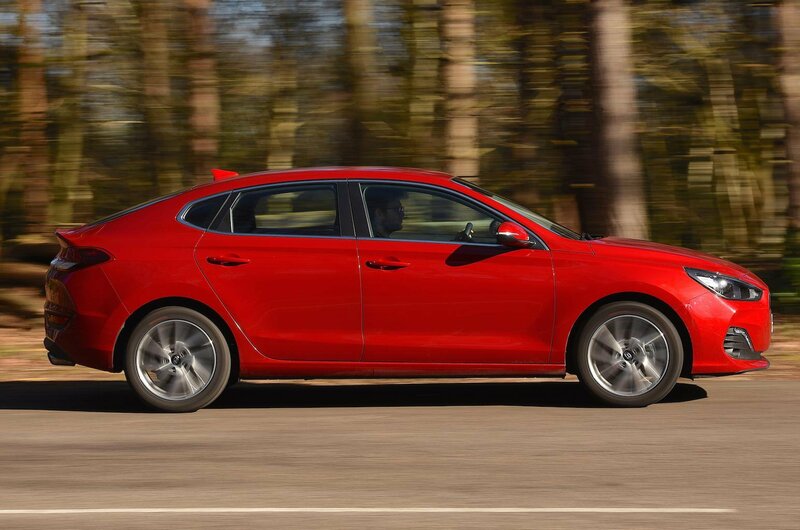 A Volkswagen Golf or Skoda Octavia fitted with their respective 1.0-litre TSI engines are more economical, fall into a lower tax bracket and are around a second quicker to 62mph; this might be a little embarrassing if you’re expecting your so-called ‘sports coupé’ to be quick. But at least it thrills in the corners, right? Well, if we’re honest, the i30 Fastback’s handling balance is very similar to the standard i30’s. The chassis may sit 5mm lower than the hatchback version and the suspension may have been stiffened to tighten up what was previously a soft package, but there’s still a fair amount of roll through the corners and the front end is all too willing to push wide if you try to carry speed through a quick bend. Instead, this is a car that feels at its best while cruising. The ride is perfectly agreeable, if a little firmer than in the hatch, and all the control weights –steering, brakes and accelerator – are well matched and deliver a predictable and natural rate of response, even if there is little in the way of feel. 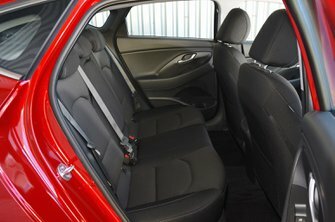 So, in short, the i30 Fastback is a well-rounded cruiser, if not particularly exciting. Indeed, for maximum thrills, we’ll just have to wait for the N version that's already in the pipeline.